Waste-to-Energy is the use of modern combustion and biochemical technologies to recover energy, usually in the form of electricity and steam, from urban wastes. These new technologies can reduce the volume of the original waste by 90%, depending upon composition and use of outputs. Energy is the driving force for development in all countries of the world. The increasing clamor for energy and satisfying it with a combination of conventional and renewable resources is a big challenge. Accompanying energy problems in different parts of the world, another problem that is assuming critical proportions is that of urban waste accumulation. The quantity of waste produced all over the world amounted to more than 12 billion tonnes in 2006, with estimates of up to 13 billion tonnes in 2011. The rapid increase in population coupled with changing lifestyle and consumption patterns is expected to result in an exponential increase in waste generation of upto 18 billion tonnes by year 2020. Waste generation rates are affected by socio-economic development, degree of industrialization, and climate. Generally, the greater the economic prosperity and the higher percentage of urban population, the greater the amount of solid waste produced. Reduction in the volume and mass of solid waste is a crucial issue especially in the light of limited availability of final disposal sites in many parts of the world. Millions of tonnes of household wastes are generated each year with the vast majority disposed of in open fields or burnt wantonly. The main categories of waste-to-energy technologies are physical technologies, which process waste to make it more useful as fuel; thermal technologies, which can yield heat, fuel oil, or syngas from both organic and inorganic wastes; and biological technologies, in which bacterial fermentation is used to digest organic wastes to yield fuel. The three principal methods of thermochemical conversion are combustion in excess air, gasification in reduced air, and pyrolysis in the absence of air. The most common technique for producing both heat and electrical energy from wastes is direct combustion. Combined heat and power (CHP) or cogeneration systems, ranging from small-scale technology to large grid-connected facilities, provide significantly higher efficiencies than systems that only generate electricity. Biochemical processes, like anaerobic digestion, can also produce clean energy in the form of biogas which can be converted to power and heat using a gas engine. In addition, wastes can also yield liquid fuels, such as cellulosic ethanol, which can be used to replace petroleum-based fuels. Cellulosic ethanol can be produced from grasses, wood chips and agricultural residues by biochemical route using heat, pressure, chemicals and enzymes to unlock the sugars in biomass wastes. Waste-to-energy plants offer two important benefits of environmentally safe waste management and disposal, as well as the generation of clean electric power. The growing use of waste-to-energy as a method to dispose of solid and liquid wastes and generate power has greatly reduced environmental impacts of municipal solid waste management, including emissions of greenhouse gases. The biggest obstacle to the implementation of Waste-to-Energy (or WTE) lies not in the technology itself but in the acceptance of citizens. Citizens who are environmentally minded but lack awareness of the current status of waste-to-energy bring up concerns of environmental justice and organize around this. They view WTE as ‘dumping’ of pollutants on lower strata of society and their emotional critique rooted in the hope for environmental justice tends to move democracy. An advocate of public understanding of science, Shawn Lawrence Otto regrets that the facts are not able to hold the same sway. Some US liberal groups such as the Center for American Progress are beginning to realize that the times and science have changed. It will take more consensus on the science and the go ahead from environmental groups before the conversation moves forward, seemingly improbable but not without precedent. The Spittelau waste-to-energy plant is an example of opposition coming together in consensus over WTE. It was built in Vienna in 1971 with the purpose of addressing district heating and waste management issues. Much later awareness of the risks of dioxins emitted by such plants grew and the people’s faith in the technology was called into question. It also became a political issue whereby opposition parties challenged the mayor on the suitability of the plant. The economic interests of landfill owners also lay in the shutting down of the WTE facility. The alternative was to retrofit the same plant with advanced technology that would remove the dioxins through Selective Catalytic Reduction (SCR). Through public discussions it appeared that the majority of the people were against the plant altogether though thorough studies by informed researchers showed that the science backs WTE. 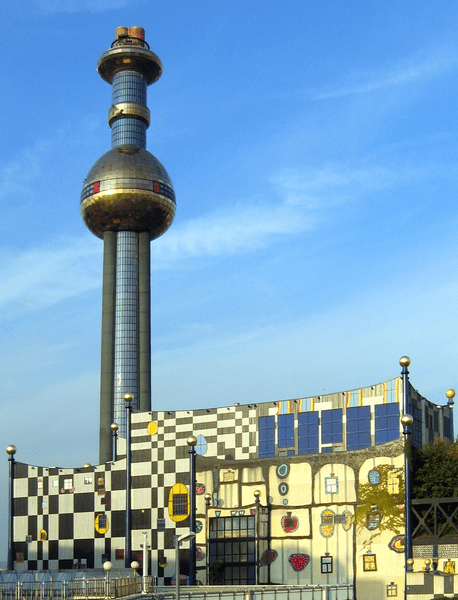 The mayor, Helmut Zilk eventually consulted Green Party members on how to make this technology better perceived in the eyes of the people, and asked the famous Austrian artist Freidensreich Hundertwasser, who was a green party member to design the look of the plant. Freidensreich Hundertwasser after carefully studying the subject wrote a letter of support, stating his belief as to why WTE was needed and accepted Mayor Helmut Zilk’s request. Later public opinion polls showed that there were a majority of people who were either in favor of or not opinionated about the plant, with only 3% in outright opposition of the plant. Waste-to-Energy or recycling has kept public discourse from questioning whether there may not be intermediate or case specific solutions. This polarization serves to move the conversation nowhere. For now it can be agreed that landfills are devastating in their contribution to Climate Change and must be done away with. 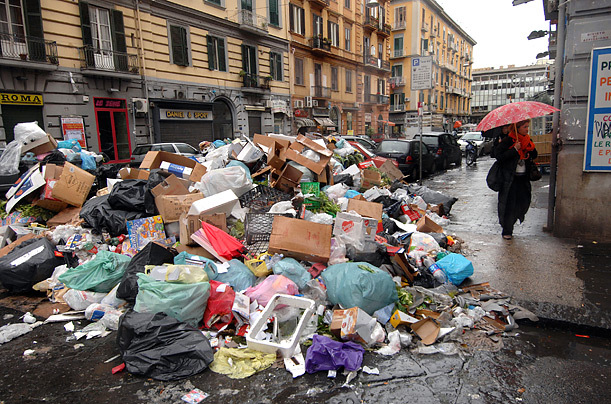 The choice then, of treatment processes for municipal solid waste are plentiful. If after recovery of recyclable materials there remains a sizeable waste stream the option of waste-to-energy can be explored. Efforts at making citizens aware of the high standards achieved by this technology in order to secure their approval.